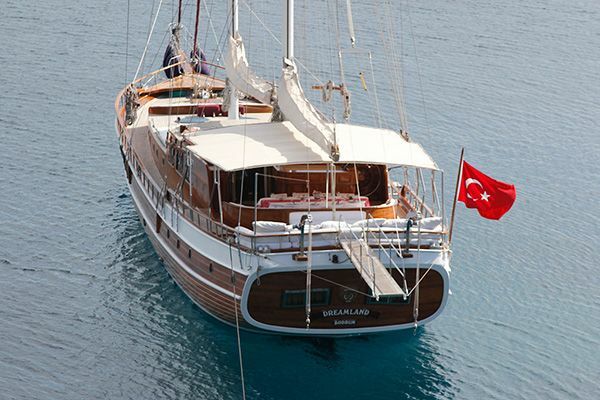 The Luxury gulet Aliko offers a comfortable gulet cruise holiday with the luxury of privacy and being pampered by an experienced crew. 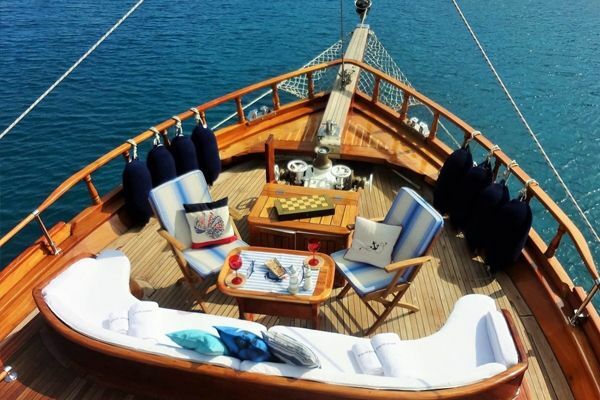 With the generous space afforded by her 30 meter length and 7 meter beam she holds six neat cabins to suit a large group or family of up to 12 guests who will find plenty of space for relaxing and enjoying the bays and coves on their gulet cruise. 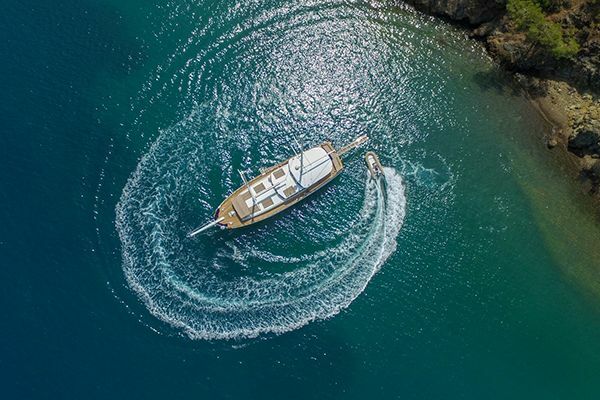 The Aliko features the classic long foredeck with ample space for sunbeds plus extra cushion seats in the bow -ideal for snacks or sunset drinks in the early evenings before dinner. 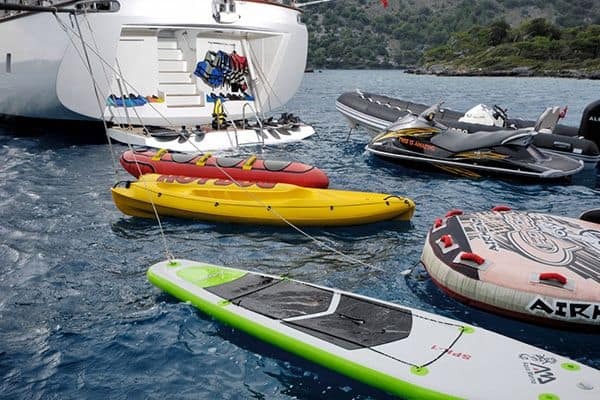 There are enough full –size sunbeds for all guests arranged on the deck, which can be also be shaded with a canopy from the sailing boom. 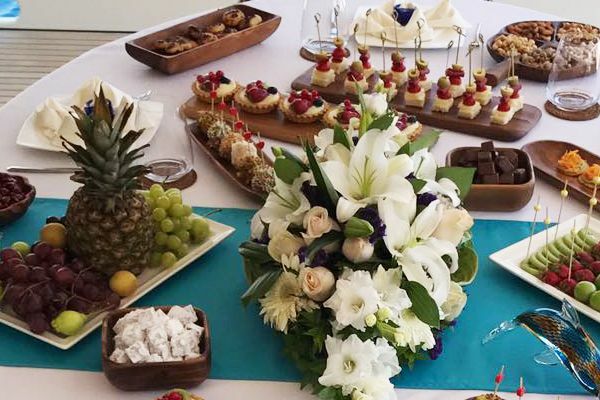 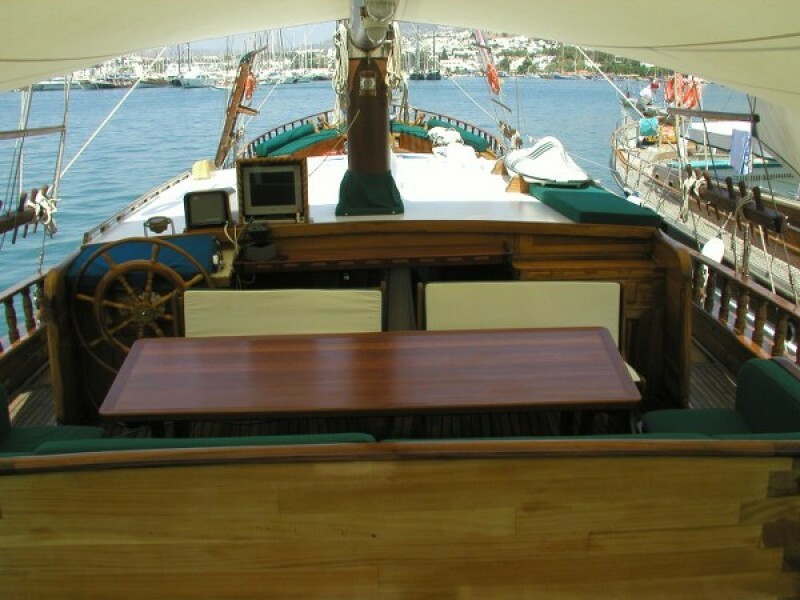 On the aft deck a dining nook offers the attractive option of dining outdoors under the fixed awning, while the crew serves all the delicious meals the cook prepares in the galley. 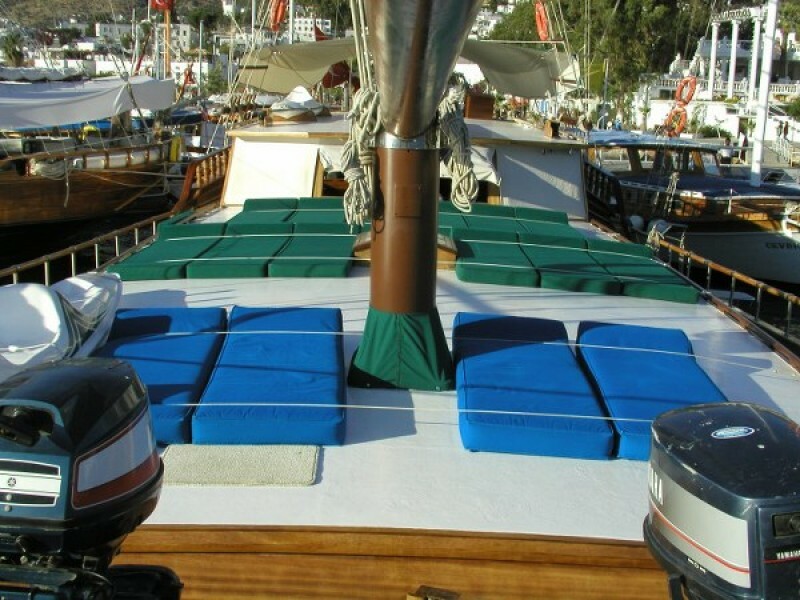 Across the stern a comfortable cushion pad invites for lazing, reading and enjoying the views to the beautiful landscsape of the Turkish Aegean and Mediterranean coast. 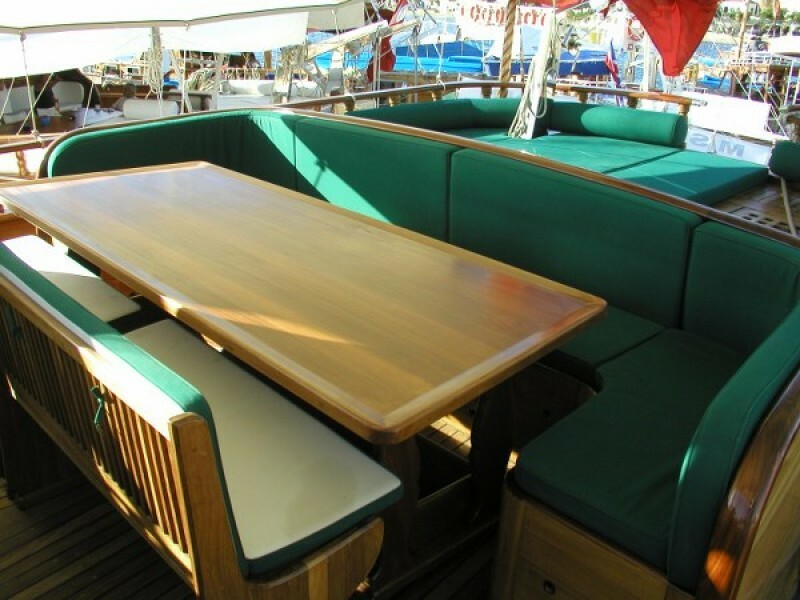 In the saloon a long seat bench with two dining tables offer the option for indoor meals if guests request and the service bar is used to serve indoor and outdoor snacks, meals and drinks by the professional crew. 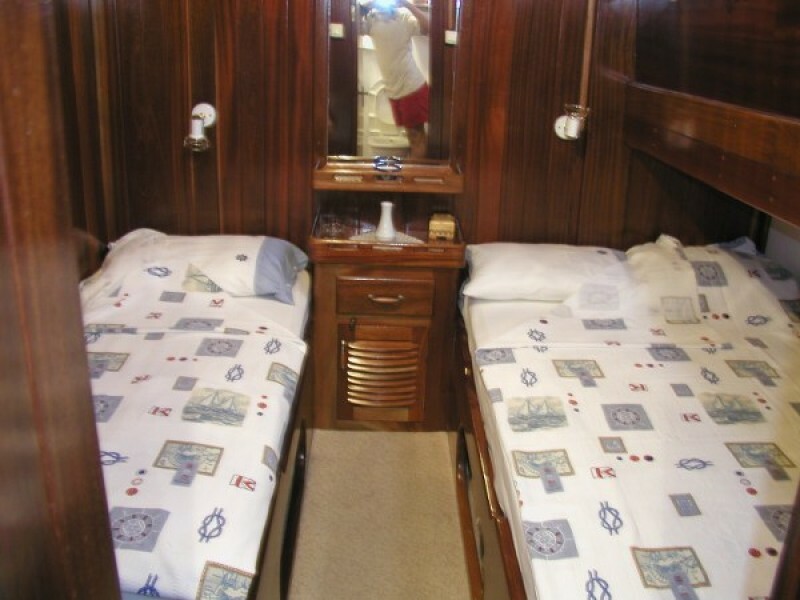 The accommodation is well laid out with the six cabins grouped in three fore and aft. 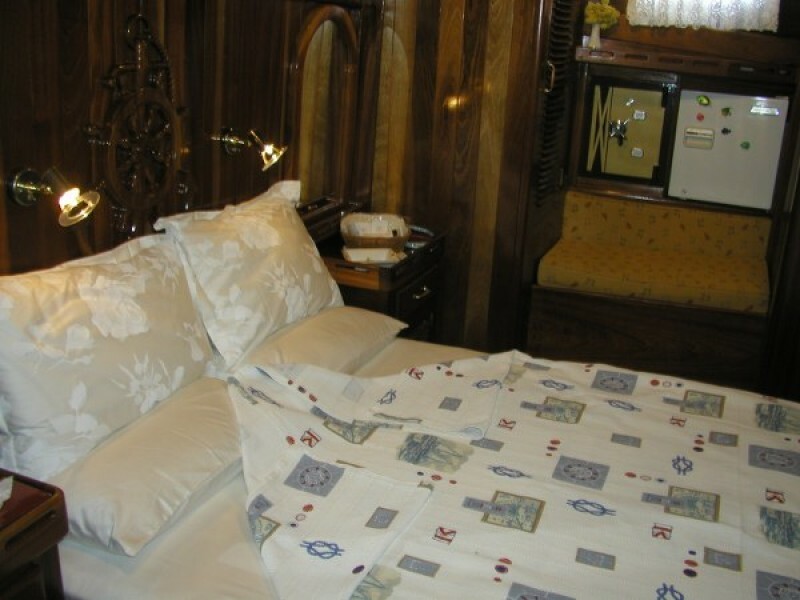 The largest cabin is the Master Cabin aft enjoying the light from large stern windows, the central queen size bed, the side seat and the private bathroom with shower cubicle. 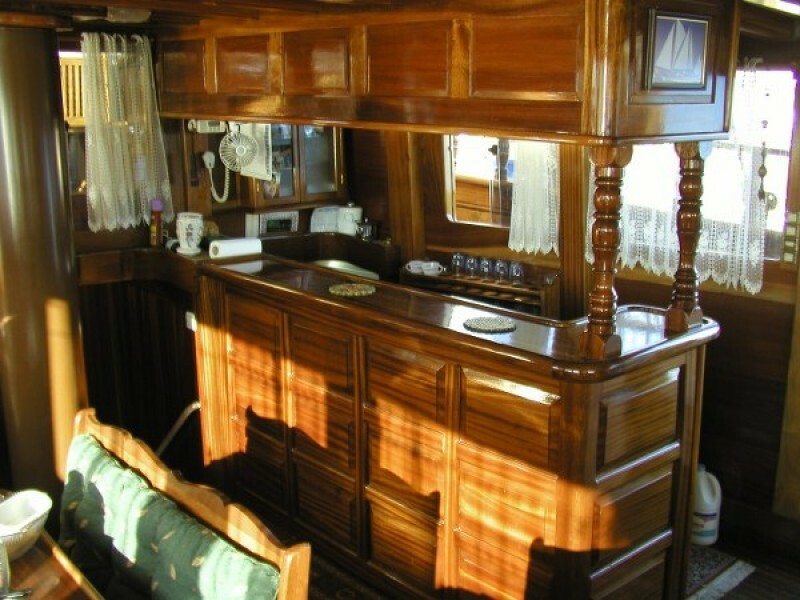 Forward in the bow is the second master cabin, comfortable and with its own bathroom. 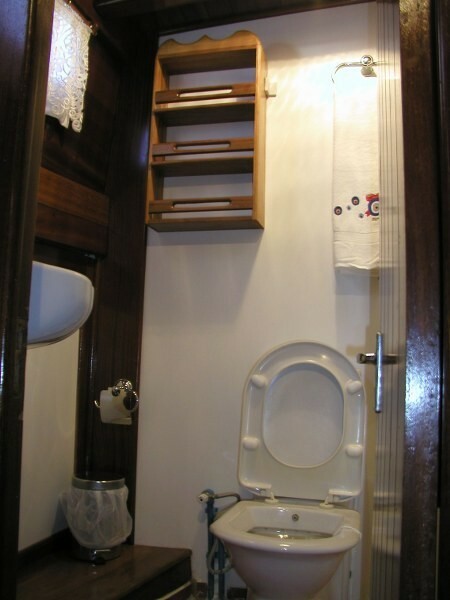 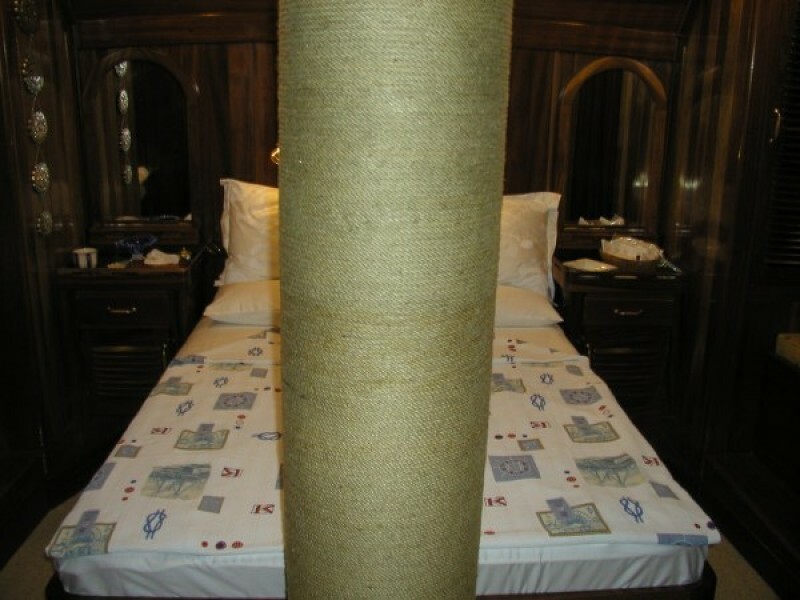 The four triple cabins (one double bed and one single bed) are neat and comfortable and each have their own bathrooms. 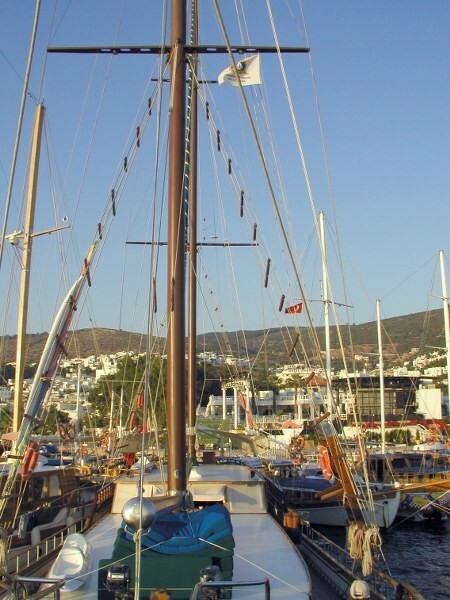 With plenty of relaxation space and entertainment options from indoor with the saloon TV/DVD to relaxing under sail, guests will find they enjoy a thoroughly memorable gulet cruise abord the gulet Aliko.